Basophils, eosinophils and monocytes may be involved in BCG-induced immune responses and be associated with outcomes of bladder cancer patients receiving intravesical BCG. Our objective was to explore the association of baseline counts of basophils, eosinophils and monocytes with outcomes of patients with high-grade T1 bladder cancer receiving a standard course of intravesical BCG. We retrospectively reviewed medical records of patients with primary T1 HG/G3 bladder cancer. 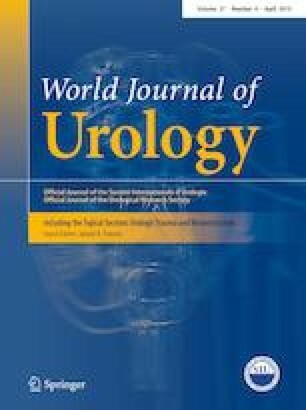 After re-TURBT, patients were treated with a 6-week course of intravesical BCG induction followed by intravesical BCG every week for 3 weeks given at 3, 6, 12, 18, 24, 30 and 36 months from initiation of therapy The analysis of potential risk factors for recurrence, muscle invasion and cancer-specific and overall survival was performed using univariable Cox regression models. Those factors that presented, at univariate analysis, an association with the event at a liberal p < 0.1, have been selected for the development of a multivariable model. A total of 1045 patients with primary T1 HG/G3 were included. A total of 678 (64.9%) recurrences, 303 (29.0%) progressions and 150 (14.3%) deaths were observed during follow-up. Multivariate analysis showed that logarithmic transformation of basophils count was associated with a 30% increment in the hazard of recurrence per unit increase of logarithmic basophils count (HR 1.30; 95% confidence interval 1.09–1.54; p = 0.0026). Basophil count modeled by quartiles was also significantly associated with time to recurrence [second vs. lower quartile HR 1.42 (1.12–1.79); p = 0.003, third vs. lower quartile HR 1.26 (1.01–1.57); p = 0.041; upper vs. lower quartile HR 1.36 (1.1–1.68); p = 0.005]. The limitations of a retrospective study are applicable. Baseline basophil count may predict recurrence in BCG-treated HG/G3 T1 bladder cancer patients. External validation is warranted. MF: project development; data management; data analysis. GDL: project development; data management; data analysis. MDV: project development; manuscript editing. DB: data analysis. FC: Data collection. GL: Project development; manuscript editing. GM: project development; manuscript editing. SDS: project development; manuscript editing. RH: project development; manuscript editing. GG: project development; manuscript editing. GMB: project development; manuscript editing. AG: data management and collection. FDG: data management and collection. RD: data management and collection. FP: project development; manuscript editing. SP: project development; manuscript editing. PV: data management and collection. MB: data management and collection. RS: project development; manuscript editing. GLA: data management and collection. PB: data management and collection. EL: data management and collection. RA: project development; manuscript editing. NC: data management and collection. ARAF: data management and collection. MB: project development; manuscript editing. GIR: data management and collection. VI: project development; manuscript editing. GM: project development; manuscript editing. PDP: project development; manuscript editing. DT: project development; manuscript editing. AC: project development; manuscript editing. LS: project development; manuscript editing. VM: project development; manuscript editing. OdC: project development; manuscript editing. SS: project development; manuscript editing. GS: project development; manuscript editing. CB: conception of the original research hypothesis; project development; data management; data analysis: manuscript writing. The authors declare they have no potential conflicts of interest to disclose. This was a retrospective study involving Human Participants treated according to standard clinical practice. All permissions granted by competent Ethics Committees and other authorities were obtained and all informed consents required by the existing law and regulations were collected.